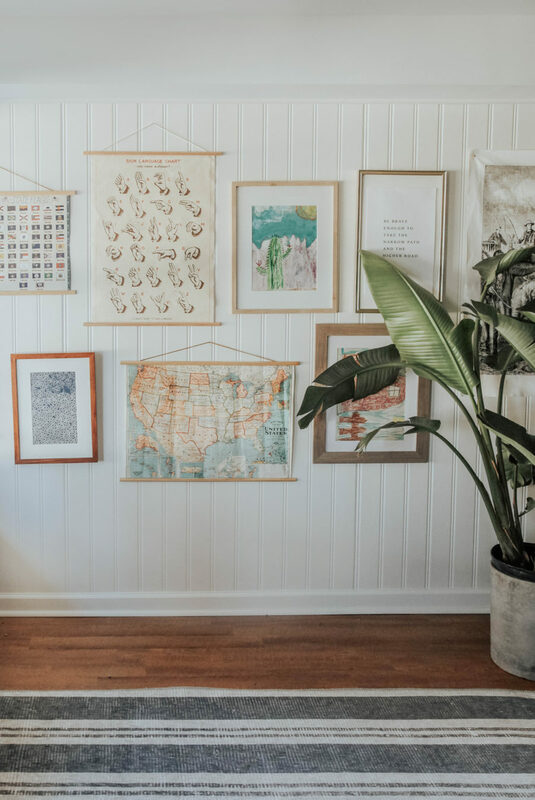 DIY Poster Hangers in 3 steps. I was hunting for poster hangers for our boys room, and ordered a few options that were in the $12-$15 range. I thought it wasn’t bad compared to frames, but then Gabe comes in and says “you paid how much for these? I could make those for a couple bucks!” So I let him prove it. Surprisingly, they were cake to make, and I love how making them on your own gives you more design and color options as well. 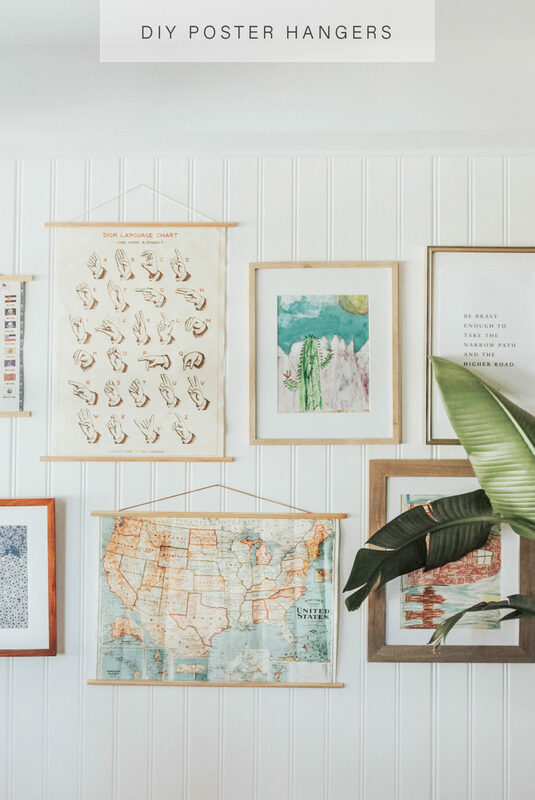 Promise these DIY poster hangers take two minutes to make, and cost approx. $3.50 a set! Wooden moulding – You can find curved, flat, or decorative moulding at Lowe’s or Home Depot. They come in long pieces, and you can have them cut to size there. OR use a simple saw if you want to cut them on your own. Staples, E-6000 glue, or thumbtacks – we tested all three of these, and they all work great for attaching your art to the trim. The Staples and thumbtacks work best for attaching the cord. Suede leather cord – you can buy a spool of it at Hobby Lobby or Michaels. Optional: paint or stain should you want to change the color of the wood. Measure out your poster or art you would like to hang, and cut your wood moulding accordingly. 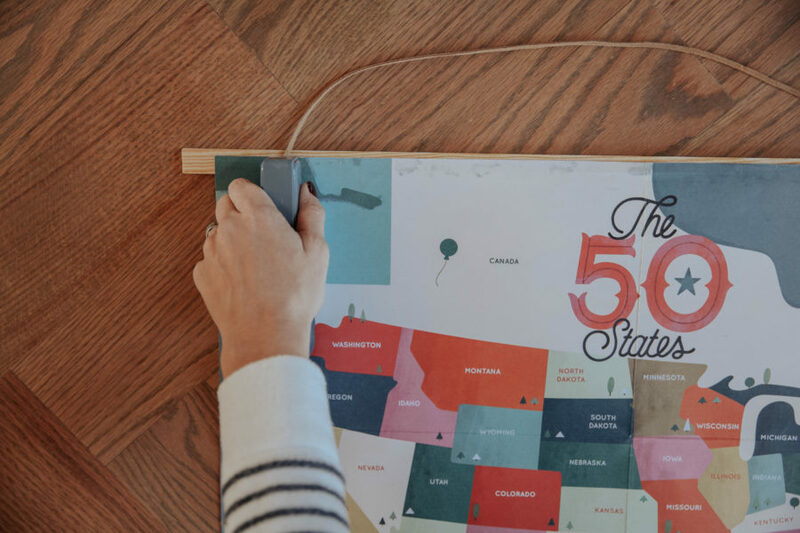 For the flat moulding, you can cut four pieces to create a hanger for reversible posters. Otherwise, two pieces for top and bottom is all you need! 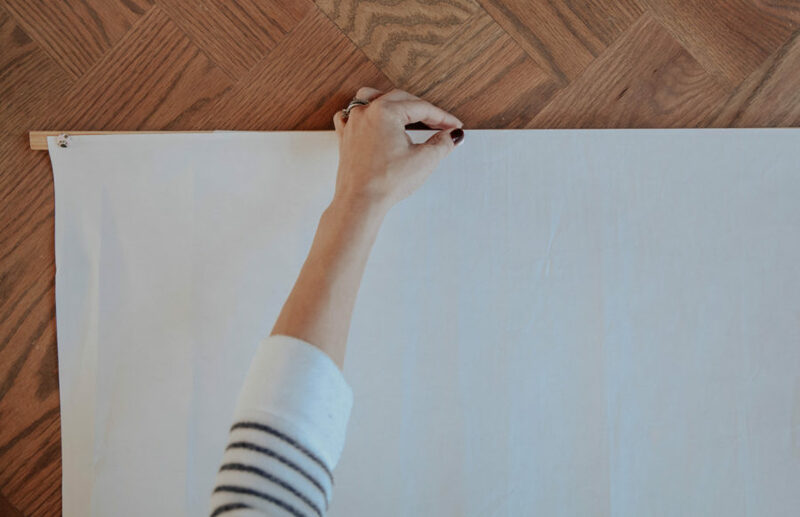 If you are staining or painting the pieces, do so before adding the hanging cord. 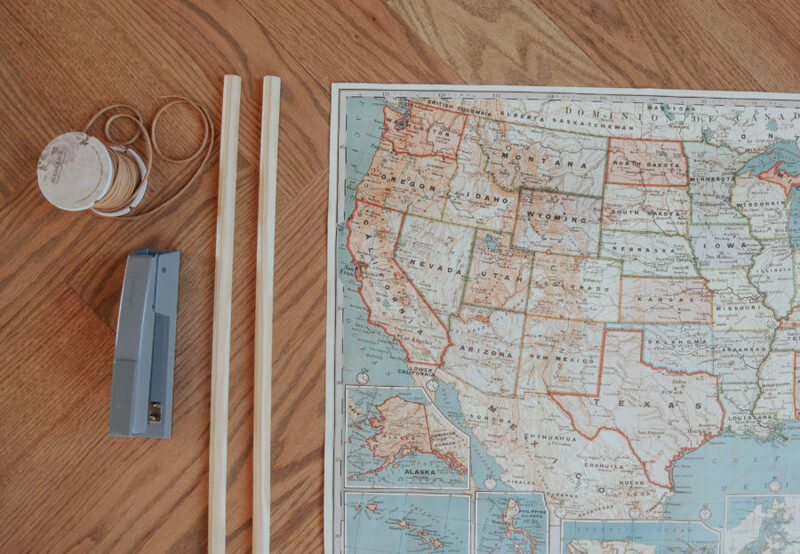 To add the leather cord, measure how low you want it to hang, and cut the cord to reach each side of the wooden rods. Secure with staples or thumb tacks! Both are easy and sturdy. 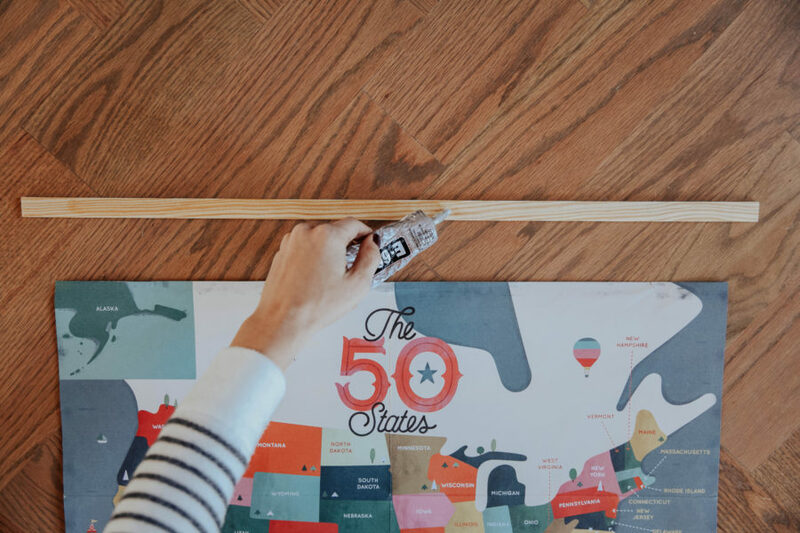 Add your artwork or poster to the top and bottom rod by using either staples, thumb tacks, or E-6000 glue. Let us know if you have any questions. Would love to see how you use this DIY in your own spaces! My husband and I tried making these over the summer, but it was for two pieces to go side by side that were the exact same size, and they were just a hair off and it looked awful and we wound up throwing it all away… it was so sad haha! I’ll have to try again with pieces that aren’t the same where it can be a little more forgiving! What a great idea! I didn’t even think of this! Can’t wait to make some for our little one’s nursery! Cool! Where do you like to get the posters? Yay!! I was literally looking for a tutorial like this today, and you posted it in your Instagram story. I’ll be making ton of these soon! Oh fun! You will have to show us how it turns out! 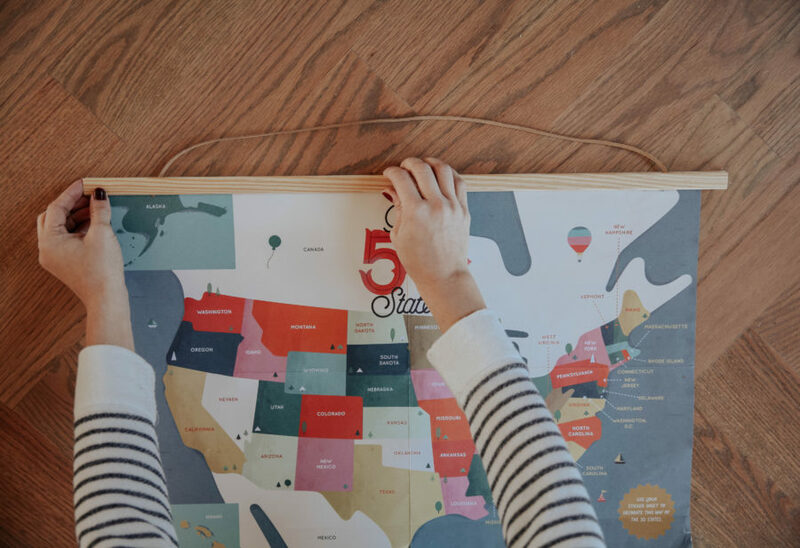 Such a neat idea and so versatile. I guess the moulding strips can be painted to fit in with any decor, plus they’re lightweight so won’t risk pulling chunks out of the plaster. Thanks for sharing this! Where can I find that fantastic sign language chart?